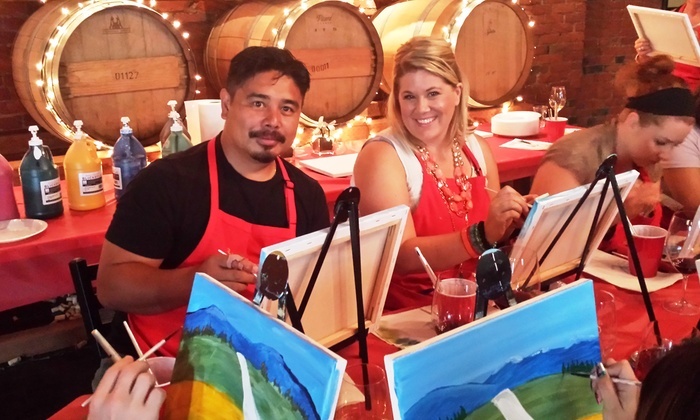 Nectar Catering and Events is a host space for monthly Corks and Canvas wine painting events. The ticket holder gets a guided three hour lesson in painting the featured painting. The cost includes all supplies. Nectar is on hand to provide wine, beer, and a limited assortment of appetizers. Corks and Canvas Events are most often the third Wednesday at our downtown location with a monthly Mimosa Morning hosted in Kendall Yards on the first Saturday of the month. Visit the Corks and Canvas Events website for a listing of events and the featured paintings.